A great and easy way to grow your own potatoes or tomatoes in small urban spaces, patios or on balconies. This potato planter is made from special Vigoroot fabric which has the ability to ‘air-prune’ the roots of plants, allowing the plants to dramatically change their formation, and be sustained in a limited volume of compost. The Vigoroot fabric encourages more vigorous rooting, letting the plants absorb more nutrients. With air-pruning, the roots are prevented from growing too long, helping prevent othe plants becoming ‘pot-bound’. This means that the plants can grow to a much larger size in a relatively small pot, and also helps the plants become more resistant to harsh weather, pests and diseases. The potato/tomato planter allows the plants to be easily cared for, and easy to harvest. 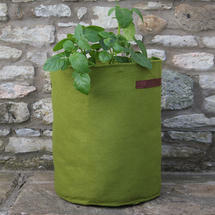 Of course, you could grow many other plants in this planter, from courgettes to aubergines. 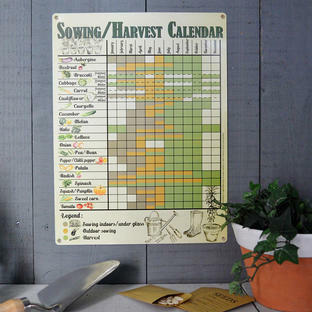 If you would like some wonderful easy to grow Italian vegetable seeds then see here and here . The planter is deep enough to grow either potatoes or tomatoes in. At the end of the growing season, they can be folded away and stored for the following year. The planter has handy reinforced handles, and includes a growing guide. 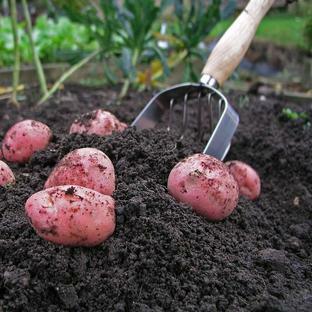 If growing potatoes, start with a layer of compost and then put the potato seedlings in. Cover with more compost at the first sign of leaves, layer up the compost again, until the soil reaches the top of the planter. Keep watered. 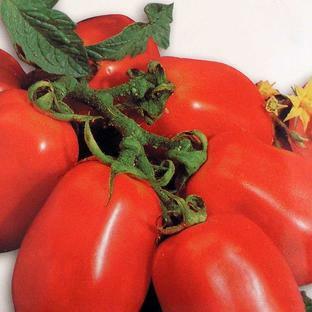 If growing tomatoes, remember to water regularly and, if possible, feed through the season with liquid feed, as tomatoes are quite 'hungry' plants. Bush tomatoes won't need support ,and are ideal for growing in containers such as the Vigoroot planter. You may be a cane to support cordon tomatoes through the season.